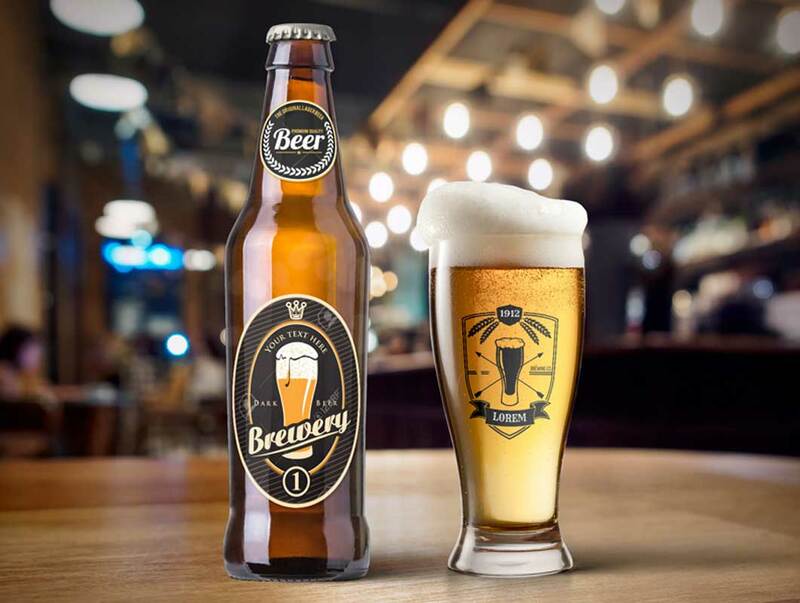 Download Beer Bottle and Glass Mockup Free PSD. This photorealistic Beer Bottle and Glass Free Mockup help you to show your Beer label designs or to sell your products in an easy and professional way. To replace the bottle Both labels and Beer Glass Label with your own, just edit the smart objects. you may easily change the background color or place your own background. The PSD files are fully layered and customizable. All elements in groups and can easily identify by the group name as well.